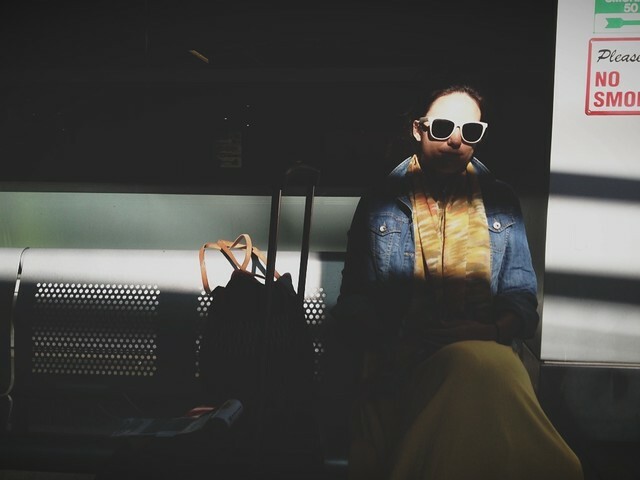 10 tips for dressing up a travel day. Travel is such fun! It's even better when you have everything you need and can look sharp throughout the day! 1. Layer. Cami, button up, wool or cashmere cardigan, jacket. 2. Wear a scarf. Looks great, keeps you warm and can be a pillow. 3. I prefer to wear leggings or tights. I like to pull my feet up on the seat and jeans or pants are not great for that. 4. Always wear or bring socks. Cold toes make grumpy travelers. 5. Slip on shoes. I always go for boots in winter or loafers//ballet flats in the summer. 6. Sling bag doubles for a day bag on your trip but keep your smaller purse in it for quick access to your license and phone. 9. If you have your travel mug the flight attendees will fill it with hot water for you. Hot water bottle with my favorite tea from home. Always makes the flight better. P.S. make sure your clothing is not too tight. It will not look good and will bother you 3 hours into your trip.